When you look at the cost (or the value) of individual animals in the herd, the bulls are the high-dollar animals. 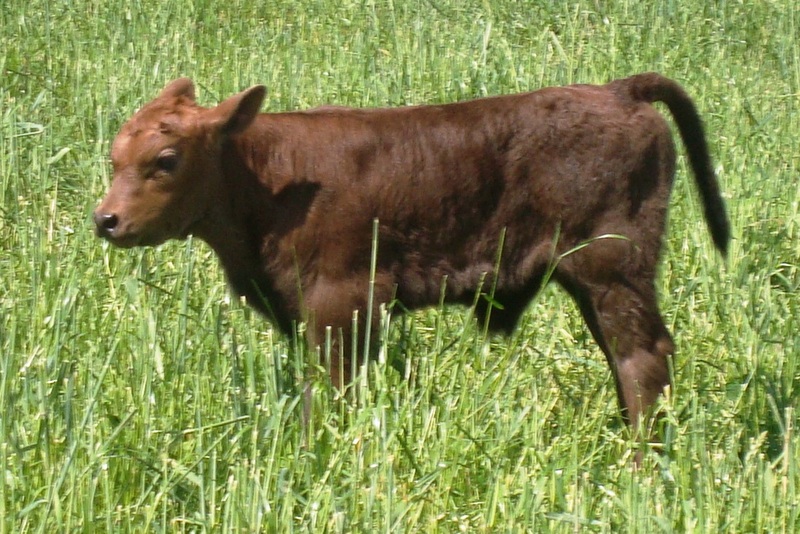 In a typical herd of 40 cows and one bull, each cow will have one calf, and will influence 1/40 of your calves. Assuming everything goes right, the bull will influence 100% of those calves. If a cow messes up her end of the deal, you’ll end up with 39 calves. If the bull messes up, you may end up with 0 calves. Between the genetic influence on the calves, and the risk involved, producers take bull selection very seriously. And even if we select the right bull, if he hurts his foot and can’t get around well enough to breed cows, we’re out the cost of the bull, and the value of the calves. Bull selection is a REALLY BIG DEAL. He’s cute, but does he have what it takes to wear the “Herd Sire” crown? So how do we know that something that looks like this when it’s born will grow up to look like the Chunkster? By combining art and science, beef producers have gotten pretty good at it. 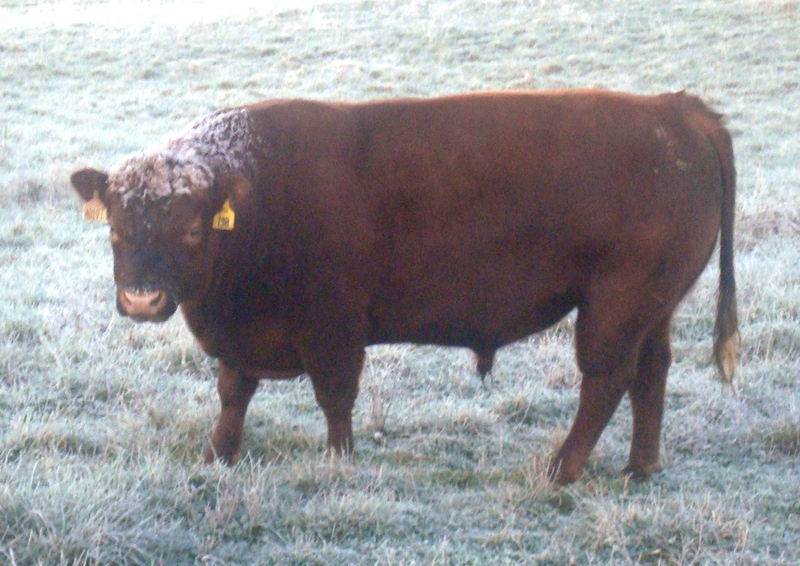 We can produce more beef with less feed, and do it reliably. Stop by tomorrow and find out some of the things we consider when selecting the Big Daddy Cheese.